There’s a reason we love to witness the failure of others, and it’s not entirely based in cynicism and bitterness. Failure brings us together, it makes us feel less alone. It’s why we watch The Room in crowded theaters. And it’s why, when you’re in Helsingborg, Sweden, you’re going to visit the Museum Of Failure, which opens in early June. Created by organizational psychologist Dr. Samuel West, the museum’s collection spans 60 different failed products, each of which Dr. West uses as a means to explore the realities of corporate risk and innovation. “Innovation requires failure. Learning is the only process that turns failure into success,” he says in the video below, which features a number of the museum’s pieces. There’s the notoriously buggy Apple Newton. 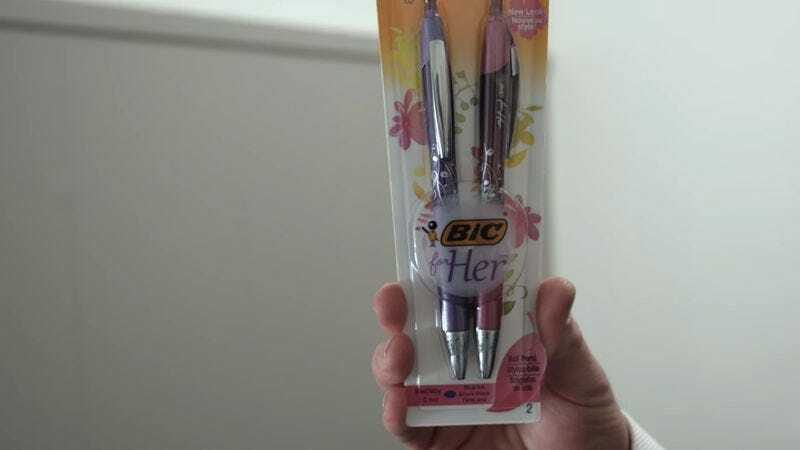 There’s Bic’s absurdly sexist “For Her” pens adorned with flowers and pastels. There’s the TwitterPeek, a device from 2009 that could do nothing but read tweets (though its screen couldn’t accommodate a single tweet). The museum even includes the more recent flash-in-the-pan Google Glass. We’re looking forward to seeing how he’ll commemorate perhaps America’s greatest failure in a few years, an exhibit that’s alluded to in this clip from Late Night With Seth Meyers referencing the museum.